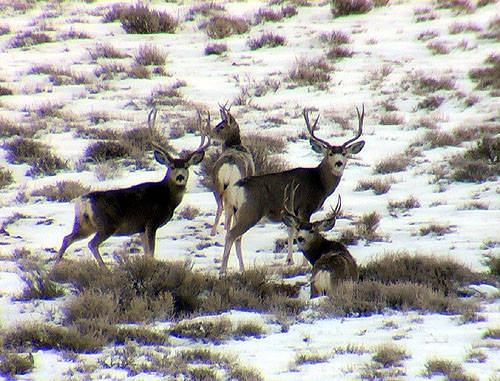 Here's some photos I took while snooping around on the winter range in early 2006. 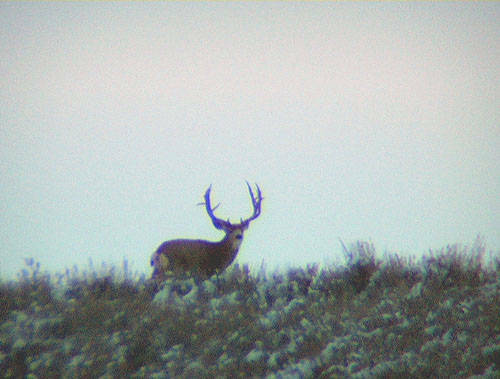 I also captured some video of these bucks that you can see in our Video Clips gallery. The deep-forked 4x4 you will see has been watched by the boys from High Country Hunters for a few years. They have a video on the market called "High Country Hunters". You can order it online here at MonsterMuleys.com. They picked up the sheds from that buck and he grosses 194!